Six people suspected being involved in recruiting people on behalf of terrorist organizations have been detained in St Petersburg, the Russian Investigative Committee reported. They are all guest workers from Central Asian countries, who are suspected of targeting other central Asians living in the Russian city since at least November 2015. 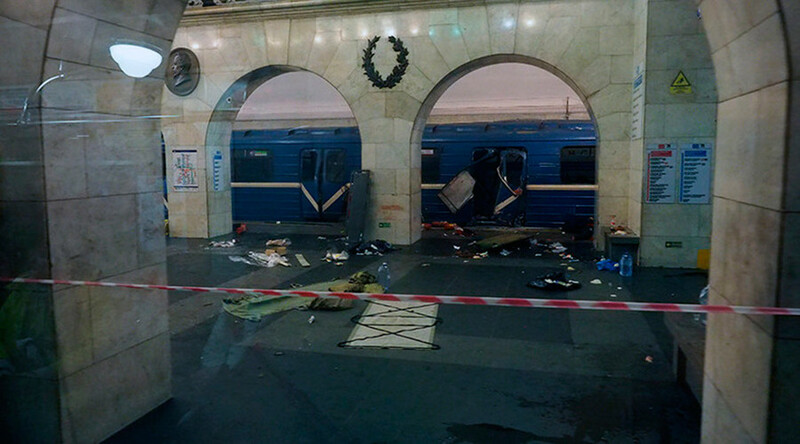 The committee stressed that, so far, it has found no evidence linking the six detainees to the alleged in Monday’s suicide attack in a St Petersburg Metro train. Russia’s Investigative Committee has instructed investigators to determine if the prime suspect had any connections to Islamist groups. They will now be looking into “the suspect’s identity, as well as his links to members of Islamic State [previously ISIS/ISIL],” the agency’s spokesperson Svetlana Petrenko has said. Russia’s Investigative Committee has published on its website the list of the identified victims of the St. Petersburg Metro blast. Ten out of 14 people who lost their lives in the attack on Monday have been identified so far, it said. Paris Mayor Anne Hidalgo has announced that the Eiffel Tower will dim its lights on Tuesday evening in memory of the victims of the St. Petersburg Metro tragedy. Saudi Arabia’s King Salman bin Abdulaziz Al Saud telephoned Vladimir Putin to express condolences over the St. Petersburg Metro attack. “The King of Saudi Arabia has condemned the barbaric act of terrorism in St. Petersburg and expressed his deep condolences to the president of Russia and the entire Russian nation,” the Kremlin said in statement. “The heads of state reaffirmed the importance of intensifying international efforts in the fight against the terrorist threat,” it added.